I snack on nuts every day so I’m always thinking of new ways to switch it up. I swear by roasting nuts to supercharge the flavour and I love this really simple way of boosting it even more. 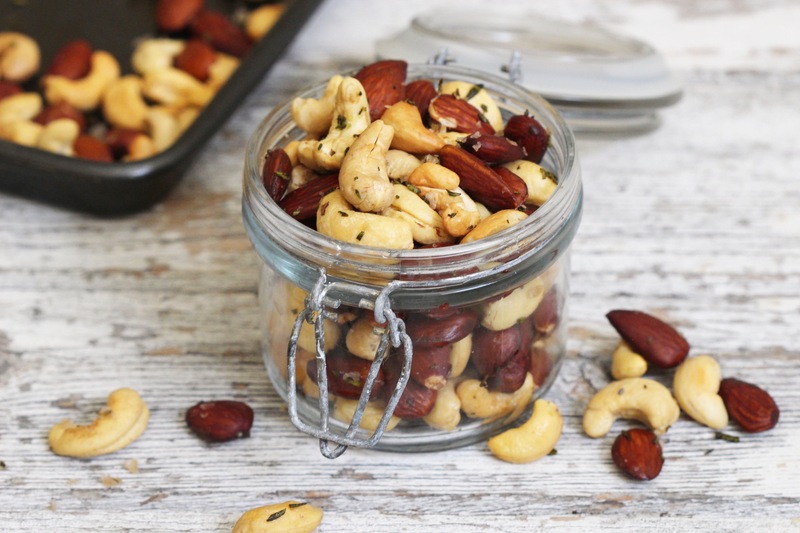 These are perfect for snacking on at home straight from the jar of for packing up to take with you on the go- a healthy, satisfying snack that’s full of protein and healthy fats and easy to munch on no matter where you are! Pinch the rosemary leaves from the stalks and finely chop them. 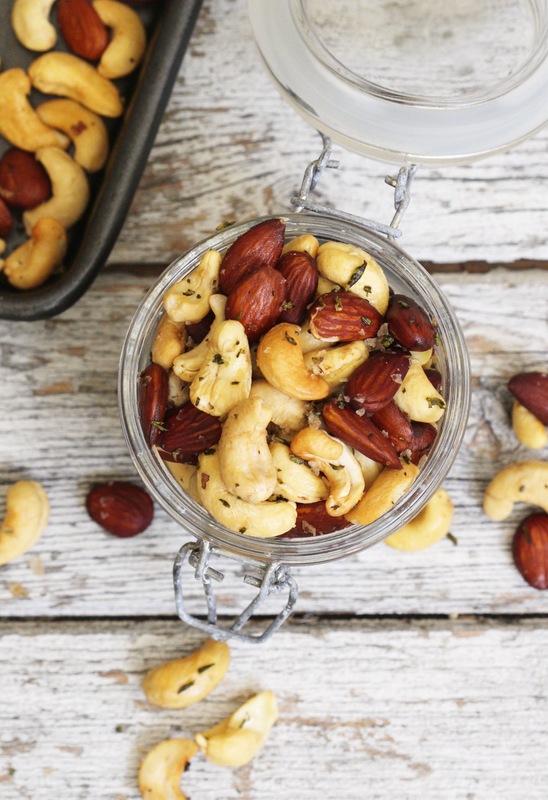 Combine the almonds and cashews in a large bowl and sprinkle on the chopped rosemary and salt. Drizzle in the olive oil and toss everything well so that the nuts are evenly coated. Spread them out on a baking sheet and roast at 180’C for 10 minutes. Leave to cool completely and then store in an airtight container.